thanks ...this is a 1985, mostly stock except the pipe and turn signals. engine turns over freely but gas tank and carbs need tlc. planning a 99% restore once I sort out the motor. that's a bassani pipe, still wondering if it's kosher to keep it or search out a pricey stock one. Have some better plastics and windscreen on the way already and need a lower fairing brace. Was thinking of updating front end to USD forks but am thinking stock with an internals upgrade now. Location: The Alps... the original ones! 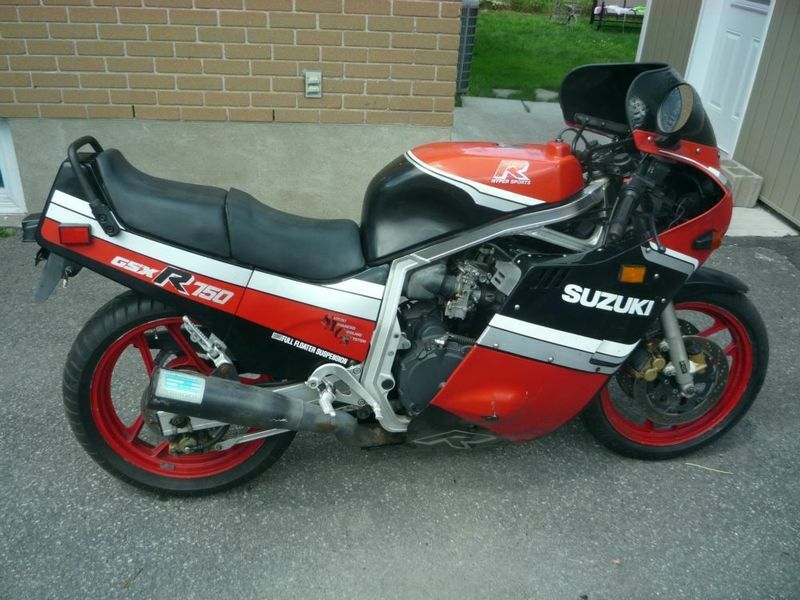 I see a surprising number of early GSX-R around here... mostly 750's with the odd 1100 thrown in. Apart from some suspension upgrade they tend to be in stock trim, worth considerably more than as "specials". Shame on me, my heart is black.